Per Peter Cincotta: "That's right. Hard to believe. Juggles on the Sky Ride on our last day." The clowns weren't allowed to ride the rides, but we got away with a lot on the last day of the season. It was usually a bit cold and almost always a very low number of guests. The last day of the season was always a fun day. 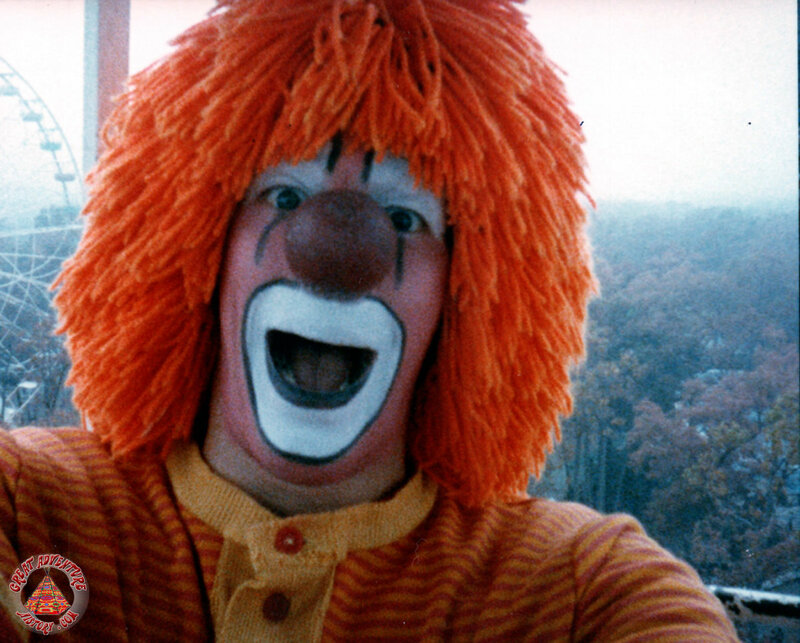 I enjoyed five seasons as Juggles the Clown at Great Adventure (from 1981 to 1985) and I loved every day performing at the park. In thee first 3 years of park wee could ride the Merry go round...and clown around on it!